Street USA in front of Ripley Park where the city will toast Disney during a special ceremony. Best Home Entertainment Production). Winners will be announced in February 2006. Broadcaster and newsman George Walsh passes away at age 88 in California. two now-retired attractions - Flight to the Moon and Mission to Mars. send you than I had this time last year." with it." Walt describes his family's recent summer trip to Europe and his upcoming release Treasure Island. now you go out and buy something that you'll like." Diane and her growing family. As usual a check is enclosed for Ruth to spend on "some feminine luxury." 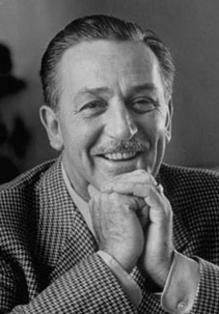 An ill Walt Disney celebrates - what will be his last birthday - in a California hospital. part 2 of "The Dingaling Lynx Lefty." The television series Walt Disney airs "A Magical Disney Christmas." helium used is enough to lift 190 people into the air. 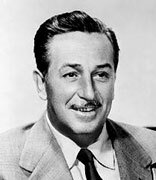 Walt Disney Recognition Day is officially celebrated in the United States. The Disney Channel airs The Christmas Visitor. president of Walt Disney World Company. He will be named a Disney Legend in 1996. Roy Disney and Stanley Gold officially launch their SaveDisney website. The 2003 Teddy Bear & Doll Weekend kicks off at Epcot. The Disney/Pixar feature Alla Ricerca Di Nemo premiers in Italy. heard in the Star Wars park attractions. The Walt Disney Company inducts the 2001 class of Disney Legends. Pirates Of The Caribbean - Dead Man's Chest makes its Disney DVD debut. Samuel Goldwyn Theater. Participants for the Academy's Centennial Tribute to Walt include his daughter Diane Disney Miller and the three surviving members of Disney's "Nine Old Men." In Florida, the Sorcerer's Hat, Disney-MGM Studios' main icon, is dedicated to commemorate Walt Disney's 100th birthday during the 100 Years of Magic Press event. Walt Disney: One Man's Dream. castle tops off the day of special events. World's The Hall of Presidents. Disney's animated feature Beauty and the Beast is released in Cambodia. Minnie are attacked by Indians! Minnie is captured and when Mickey tries to rescue her ... he's captured too. But Minnie escapes and winds up rescuing Mickey. Donald decides to try cooking along with a radio show ... he accidentally uses rubber cement to make waffles! on the road performing live with a Donald Duck ventriloquist figure in a show that includes duck cartoons. Returns of the Day.” Donald and I have been knocking around a lot—it is work, especially the way travel is today. We have been doing pretty well too. In Lawton Okla., they had to turn away about two hundred school children. "Hope this finds you feeling better. This is your day and Edna and I send our love not only for today but always." 8 well-known Disney songs, on the Columbia/Legacy label. Who Wants to Be a Millionaire? host Meredith Vieira. appears to fly straight out of fantasy into reality! Winners will be announced February 10, 2013. Kickstarter campaign with hopes of raising $500,000 to fund renovations. The team wants to bring the home to landmark status. attendees about the latest Star Wars offerings. Winners will be announced February 8, 2015.